I don't drink a lot of coffee. It makes me jittery. But from time to time I do need a bit of a "pick-me-up" (especially on these cold almost-winter mornings). And when I do sip a cuppa, I like a bit of flavour. But a tall, 12 oz Starbucks Pumpkin Spice Latte is a whopping 300 calories  and costs somewhere in the $5 range. Even store bought flavoured coffee grounds are more expensive, usually contain artificial ingredients and sweeteners and questionable flavouring, and many of them are not fair trade or organic. Our whole apartment smelled like pumpkin spice coffee. If that isn't aromatherapy I don't know what is. 2. Brew coffee as usual and add any extras you like! * In the summer I've been known to brew this extra strong and blend it in the blender with a few ice cubes for an iced spiced coffee. Yum! This sounds great! And I love that it doesn't cost much to make it. 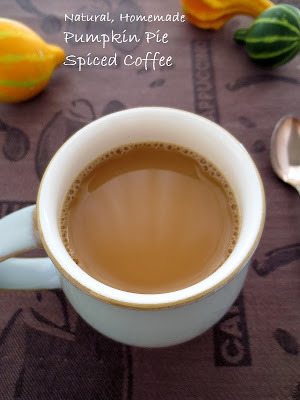 My favorite way to drink coffee is to make a strong, flavored brew at home (like this) and add a T. of Sugarfree Vanilla Creamer. I know that the creamer isn't great for you...but I only use a T. and I literally measure it out everyday. I love vanilla coffee, too. I actually just found vanilla powder at my local ethnic market and I intend to try that mixed in with my coffee grounds. I used to cook with it when I was studying in Egypt (they don't sell vanilla extract there), and it smells heavenly!! Sounds delicious! I only drink coffee as a special treat nowadays, and this sounds perfect for that. Yum.. I can almost smell it now :). 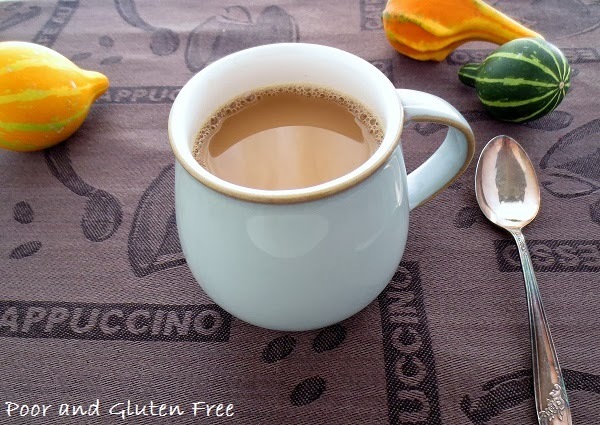 I made this wonderful pumpkin spiced coffee today and I loved it! What a fabulous way to spice up my morning! Thank you for sharing this wonderful post at the "Healthy, Happy, Green & Natural Party" Blog Hop! Have a Happy Thanksgiving! You almost make me wish I drank coffee.. 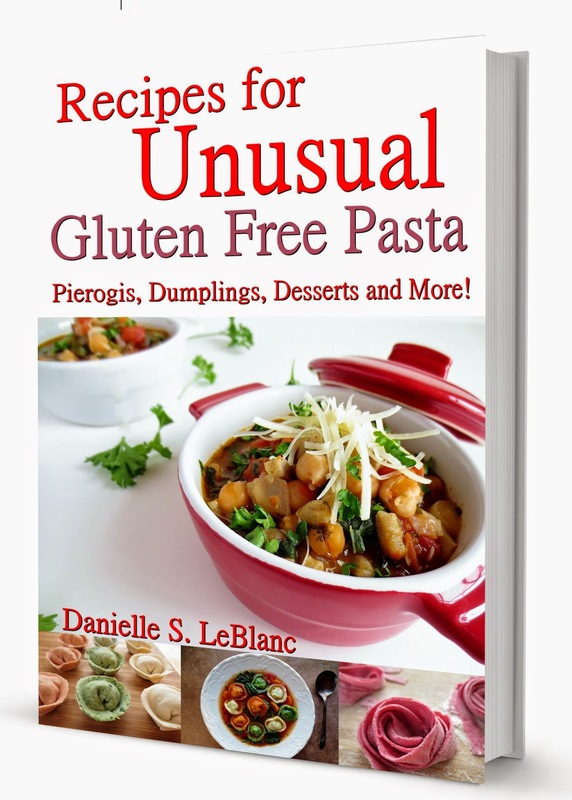 Thanks for posting at Healing with Food Friday. Made this last week and everyone loved it!